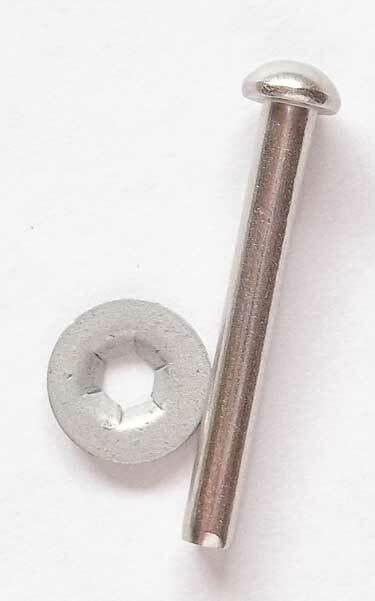 It is a solid shank stainless steel rivet that uses a push nut to secure. They are priced individually so you can order as many as you need. Shank = 1/8" x 1".